My Child Is Stealing! Why? Your child does homework on time, helps you clear the table after dinner, and even helps with housework on the weekends. So can it be true that this same child is stealing? Before you react, it helps to know a little about why kids steal and where to get help. Very young children sometimes take things they want without understanding that things cost money and that it’s wrong to take something without paying for it. School-age kids usually know they’re not supposed to take something without paying, but they might do so anyway because they lack enough self-control. Preteens and teens know they’re not supposed to steal, but might steal for the thrill of it or because their friends do. Some might believe they can get away with it. As they’re given more control over their lives, some teens steal as a way of rebelling. And other complex reasons can be factors. Kids might be angry or want attention. Their behavior may reflect stress at home, school, or with friends. Some may steal as a cry for help because of emotional or physical abuse they’re enduring. In other cases, kids and teens steal because they can’t afford to pay for what they need or want ??? for example, they may steal to get popular name-brand items. In some cases, they may take things to support drug habits. For some time, people have known that using cannabis during adolescence increases the risk of developing cognitive impairment and mental illness (e.g. depression, anxiety or schizophrenia) later in life. Importantly however, the mechanisms responsible for this vulnerability are not well understood. A new study, published in Brain, shows that long-term cannabis use that starts during adolescence damages the neural pathways connecting brain regions, and that this may cause the later development of cognitive and emotional problems. Ron’s Remarks: I think most parents get the fact that marijuana use is bad for teenagers. Unfortunately, I think some parents might consider it just “experimentation” and don’t take any action for this behavior. Each parent must decide for themselves how to deal with this but this research reiterates the realities of drug use on the brain. How have you dealt with teenager drug use/abuse? Do your children wake up and tell you about the wild dream they just had? Many parents may not realize it but their children?? ?s dreams may have significant meanings. Most adults tell their kids to grow up when they share big dreams they had. But we really want to help our children to pay attention to their dreams. Dreams like flying without an airplane can show they have strong creative abilities. Nightmares with children might be frightening but there is a good chance that they have a high destiny to fulfill in their life. Why else would something evil be trying to stop them from being big dreamers! After working with children?? ?s dreams for over a decade, I found some simple ways to help children record, remember and understand the dreams they are having. 1. 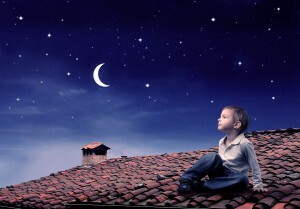 Encourage you children to openly talk about their dreams, particularly in the morning when it?? ?s easier to remember them more clearly. Make a habit of asking them what they dreamed at the breakfast table. 2. Keep a dream journal for your child if they?? ?re not able to do so themselves. If they are not yet able to write, have them draw the dream or act it out. They might create a collage or another type of artwork to help them communicate a complicated or highly detailed dream. Then they can display it somewhere as a reminder of that dream. 3. Remember that your children?? ?s dream language is going to be simpler than that of an adult. They may see things in cartoon form or associate cartoon or superhero characters with Angels or even God in their dreams. 4. Pay attention to the tone of the dream. Is it light and colorful or more dark and shadow-like? Oftentimes, darker color dreams reveal hidden fears or things that may be trying to stop them from advancing. 5.Ask your child if he or she knows what the dream meant. Sometimes they actually know the meaning. Here?? ?s a good example of a four-year-old child?? ?s dream that the parent did not understand. The dream was actually quite prophetic. I dreamed that me and daddy were driving in his car. There was a big bump and the car boom and daddy was scared but then Jesus came said, ???Don?? ?t be scared daddy, it?? ?s going to be all right.??? After asking more questions of Sam?? ?s dad, we found out that he had just lost his job right around the time his son had the dream. Cars can represent our career, job or aspects of our life. Sam dreamed that his father had a car accident but it was symbolic of him losing his job. Seeing Jesus in the dream was reassuring that things would work out and, sure enough, they did. Sam has a prophetic dreaming gift, but most people would have missed the meaning of that dream because of Sam?? ?s lack of language to describe it.